1. Duleek. North Cross. North Side. Close up of panel at end of cross arm. 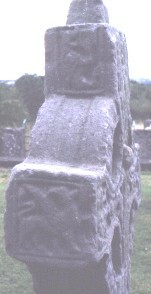 This is a close up view of the of the north side of the North Cross at Duleek, Co. Meath.